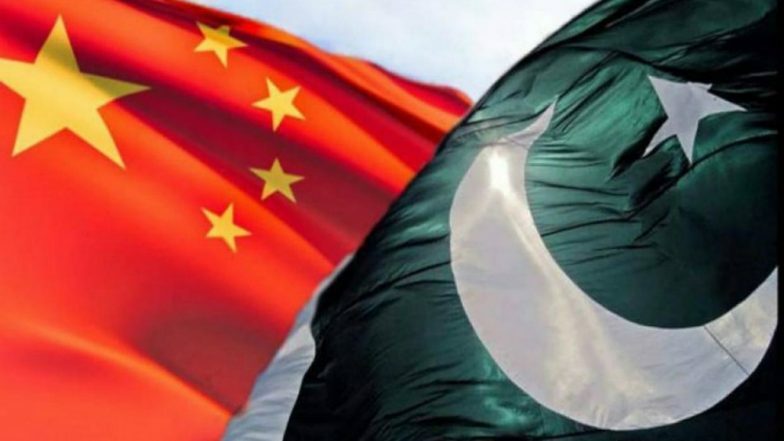 Islamabad, March 26: Pakistan has received from China, its “all weather friend” USD 2.2 billion in loans on Monday to shore up its foreign currency reserves and help avert a possible default on external debt payments. With this latest assistance from China, Pakistan has so far received a total of USD 9.1 billion in financial assistance packages from friendly countries during the current fiscal year, The Express Tribune reported. While China has pumped-in close to USD $4 billion, Pakistan has received another USD $3 billion from Saudi Arabia and USD $2 billion from the United Arab Emirates (UAE), it said. "The State Bank of Pakistan has received RMB 15 billion value equivalent to USD 2.2 billion as proceeds of the loan obtained by the government of Pakistan from China," the central bank tweeted. Finance Ministry Spokesperson Khaqan Hassan Najeeb said the funds deposited in the State Bank of Pakistan would strengthen the stability of the country. The SBP's reserves stood at USD 8.84 billion as on March 15, 2019, according to the central bank's latest weekly report. The latest deposits from Beijing are expected to boost the SBP'S reserves into double digit after a gap of almost one year, the report said. Pakistan’s forex reserves have taken a beating as its imports have always overshot its exports and a mismanaged economy meant that the country is heavily indebted to various lenders. Hence, debt repayments did not allow the reserves to stay stable, as the government was partially financing such international payments using its reserves. Finance Minister Asad Umar has estimated a financing gap of around USD 12 billion for the ongoing fiscal year 2019 and another USD 7-8 billion for the fiscal year 2020, the report said. Countries friendly to Islamabad have extended the soft loan at an interest rate ranging 2.5-5 per cent to shore up SBP's foreign currency reserves and avert a payment default. Pakistan is also hoping to secure a bailout package from the International Monetary Fund but talks have been inconclusive, media reports said. "The deposits (from China) are coming at a very critical time as Islamabad is set to make a large external debt payment next month – April, while its reserves remain under pressure,” Arif Habib Limited Head of Research Samiullah Tariq said recently. "Pakistan is scheduled to pay off USD $1 billion for a maturing Eurobond in April.. this will be in addition to other external debt payments during the month," he said. The increased international payment pressure led to depletion of Pakistan's foreign currency reserves to almost five-year low at USD 6.63 billion as on January 18, 2019.